H-GAC’s mission is to serve as the instrument of local government cooperation, promoting the region’s orderly development and the safety and welfare of its citizens. All H-GAC programs are carried out under the policy direction of H-GAC’s local elected official Board of Directors. H-GAC is made up of the region’s local governments and their elected officials, and works together with public and private sector organizations and a host of volunteers. 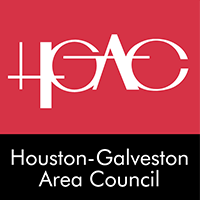 The 13 counties in H-GAC’s service region are: Austin, Brazoria, Chambers, Colorado, Fort Bend, Galveston, Harris, Liberty, Matagorda, Montgomery, Walker, Waller, and Wharton. There are more than 100 member cities in the region.